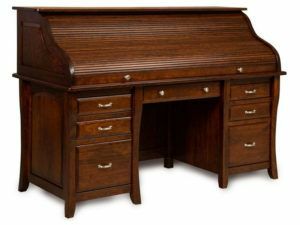 Recapture the vibes of the 19th Century and early 20th Century by choosing one of the beautiful roll top desks from Brandenberry. 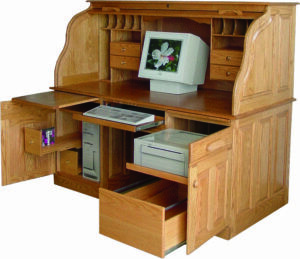 Amish cabinetmakers custom-craft each unit from solid hardwood. So the desks are nostalgic and user-friendly. Plus strong, durable and long-lasting. 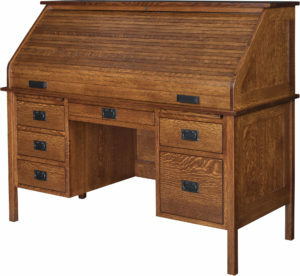 The distinctive style of the Berkley Rolltop Desk offers compact efficient storage. 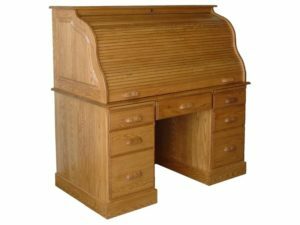 Few items of furniture blend practical contemporary applications with memories of yesteryear like the roll top desks featured above from Brandenberry Amish Furniture. So consider the cubbyhole spaces you’ll get for stuff like snail mail letters and stamps. Plus the file drawer space. And a flat desktop for your computer. Also, think about how cool it is to have a handy roll top to keep everything out of sight! In addition, look at the many styles you get to choose from. And whichever unit you choose is likely to elicit attention and flattering comments from family and friends alike. But these are no ordinary roll top desks. This is because Amish artisans painstakingly build each unit. And they use hardwoods like oak, cherry, maple and hickory. 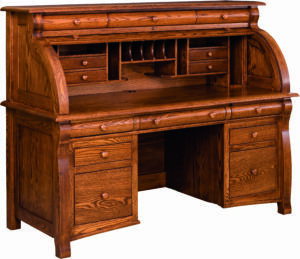 So, with proper care, the desk you select should last for generations to come, even becoming a family heirloom. 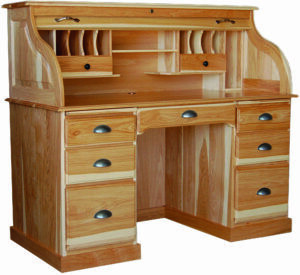 You can customize your roll top secretary desk by selecting features including the wood specie, hardware, stain and finish. Also, if you have questions, feel free to talk with one of our trained staff. We’ll help you create the desk of your dreams.